iPhone meet Exchange 2010 posted on March 29 is a review of Steve Goodman’s new book iPhone with Microsoft Exchange Server 2010 – Business Integration and Deployment , which describes how administrators can take on the challenge of managing Apple iPhone and iPad devices that connect to Exchange 2010 through ActiveSync. The book is very readable and offers lots of good advice. Recommended! Of vaults and retention policies posted on March 27 discusses some early attempts by Compaq (ex-DEC) ALL-IN-1 engineers to implement retention policies for Exchange 5.5 way back in a time when no one could even contemplate a 25GB mailbox. Office 365 price reductions – but what about Plan P? – as an Office 365 subscriber, I like to see Microsoft reducing its monthly subscription fees – but I was less impressed when I discovered that they only dropped prices for Plan E (enterprise) subscriptions and left Plan P (professional) rates alone. As explained in this article posted on March 20, my conclusion is that Microsoft is quite happy to soak the cash cow of Plan P subscribers, who don’t really require much support after they manage to sign up and connect to Office 365, in favor of reducing Plan E prices to be more competitive with the likes of Google Apps. Understandable but infuriating. Exchange 2013 anyone? On March 16, I noted that Microsoft watcher Mary Jo Foley had revealed that SharePoint 2013 was the name of the next release of this Office 15 wave product. Logic indicates that all of the Wave 15 products will share the same suffix, so I therefore conclude that the next major release of Exchange will be named Exchange 2013. You can post your bets now. Exchange 2010 uses two distinct types of circular logging. This article had been in my “pending” folder for quite a while because lots of other topics had arisen that forced their way into the publication queue. I was able to find a slot for the article on March 13. It describes the two types of circular logging that exist in Exchange 2010: the first is the traditional sort that has existed since Exchange 4.0 and was originally designed to preserve expensive disk space on servers; the second came about in Exchange 2010 as part of the Database Availability Group (DAG) feature and is used to ensure that all database copies have access to data that they might need before any log is truncated. The early history of Enterprise Vault. Symantec’s Enterprise Vault (EV) product has enjoyed enormous success since its debut as the first archiving/HSM product for Exchange. This article, posted on March 8, describes the early days of EV and how it came about as a project conceived by Digital Equipment Corporation in Reading, UK as part of Digital’s “Alliance for Enterprise Computing” agreement with Microsoft. Why sharing real-life support tools is so important. My first post of the month (March 1) discusses why the release of a number of tools authored by members of Microsoft’s support organization is an important contribution to the community. The more the merrier in this category, I think! March was interesting from a number of perspectives. MEC coming back, a new book, memories of the old days of Exchange and how products evolved through discussions between large corporations, and some technical details. Hopefully April will be as interesting. To find out, you can follow my WindowsITPro blog or receive my updates through Twitter. 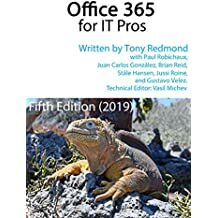 This entry was posted in Exchange, Exchange 2010, Office 365, Technology, Writing and tagged ActiveSync for iPad, ActiveSync for iPhone, Exchange 2010, Exchange 2013, Exchange 5.5, iPad book, iPhone book, MEC, Microsoft Exchange Conference, Office 365, Symantec Enterprise Vault, Windows IT Pro. Bookmark the permalink.